Ever wonder what the world will look like in 2030? Will there be driverless cars, David Bowie hologram concerts or even holidays in space? These things are all unknown but what is certain is that viral hepatitis can be eliminated if we take action now. 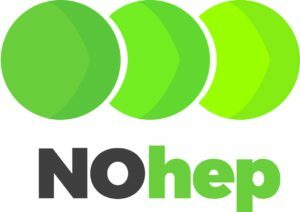 Today, on World Hepatitis Day, we are launching NOhep, a global movement to eliminate viral hepatitis by 2030. The movement is calling on people across the world to unite and take action to make the elimination of viral hepatitis a reality. Indeed, with vaccines and effective treatments for hepatitis B and a cure for hepatitis C now available, we can eliminate these cancer-causing diseases in our lifetime but this will require increased awareness and most importantly, political prioritization. We can eliminate these cancer-causing diseases in our lifetime but this will require increased awareness and most importantly, political prioritization. You may recall that in May, at the 69th World Health Assembly in Geneva, 194 governments adopted WHO’s first-ever Global Health Sector Strategy for Viral Hepatitis (GHSS), which included a goal of eliminating hepatitis B and C by 2030, and a set of targets which, if reached, will reduce annual deaths by 65% and increase treatment coverage to 80%, saving 7.1 million lives globally. This puts us, the hepatitis community, at a critical juncture: we have the global strategy, we have the tools, but to ensure viral hepatitis is eliminated we need to amplify our call and join together under one banner, one voice – this voice is NOhep. Essentially, our global elimination campaign will act as a platform under which anyone, anywhere can push the hepatitis agenda forward, be it by raising awareness and reducing stigma, by lobbying their government for change, or by demanding access to treatment. In other words, our movement supports whatever is needed, wherever you are. NOhep will unite those working in the field of hepatitis and others from across the world around one common purpose, the elimination of viral hepatitis by 2030. Now, a movement is only a movement if people are behind it. NOhep will run until 2030 and is calling on individuals, communities and organisations across the world to sign-up; so take action and help us make the elimination of viral hepatitis our next greatest achievement! Hepatology, Medicine and Policy has launched with BioMed Central and is now accepting submissions on this and related issues. For more information, visit: www.hmap.biomedcentral.com.